So, confession here. I always have good intentions of doing something with those Christmas cards that we get, yet each year they get filed away in a stack in a page protector. I love the photos I get each year and have a hard time just discarding them….so I don’t. But I’m not getting them into albums either. Well, this great spread from Nichol has motivated me to do something with mine! While it’s a calmer and quieter time of year…it’s the perfect time to get it done! And using pocket pages? Makes it so much easier! Take a look at what she did with hers. 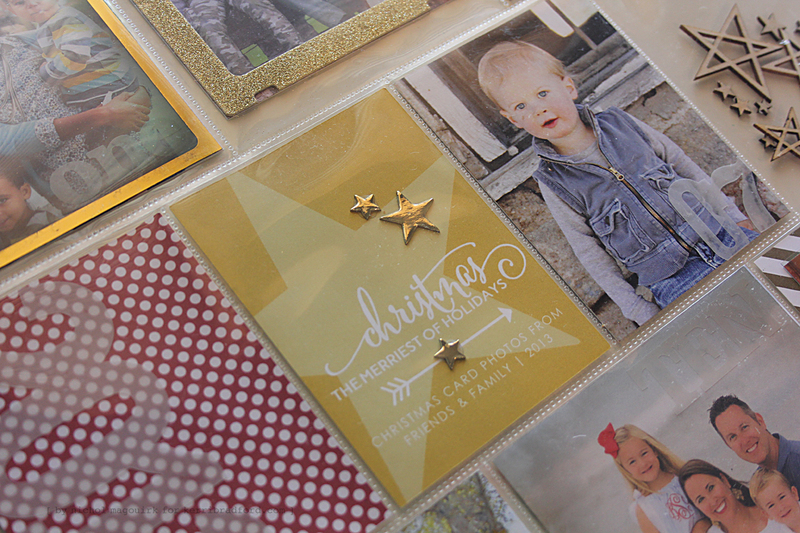 First off, loooove seeing this brand new Hello December kit come to life! 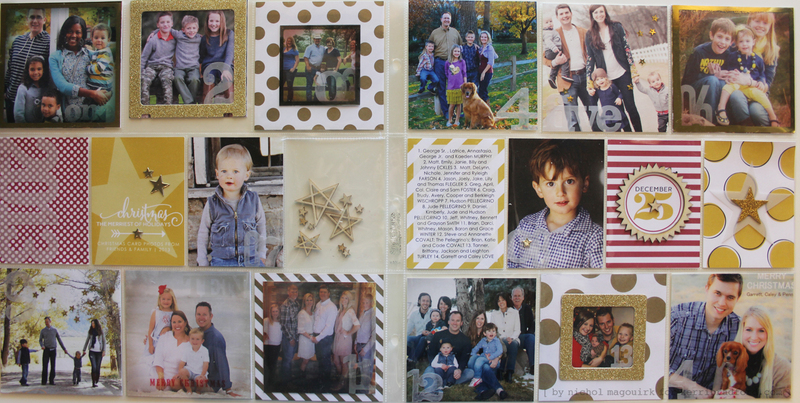 Love not only how she incorporated it with her photos, but how she added her own personal touches before printing…especially the ‘Christmas’ card where she added an arrow from another kit along with journaling, making it her own. 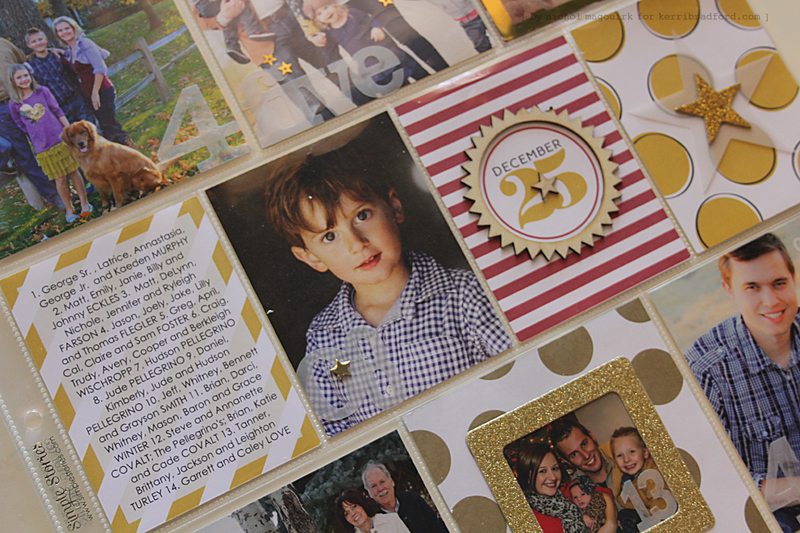 I create yearly layout spreads for the Christmas card photos we receive from friends and family each year. For last year’s cards I decided to take the plunge and create a pocket-style layout using the photos and Kerri’s awesome new Hello December journaling cards! I customized one of the cards with a faux “vellum” overlay and journaling in Silhouette Studio before printing the card(s) with my printer and cutting the card(s) out with my Cameo. I also customized the title card with an arrow from the Just My Type Kit and my own text. I made sure to turn the cut lines off anything I didn’t want cut so that only the card shape was cut on my die cutting machine and not the text or shapes. Vellum number overlays on the photos keep the focus on the photos but coordinate back to my journaling card. Easy peasy! Two other things I wanted to mention for today. First there’s this. you may remember this incredibly popular project from last year. 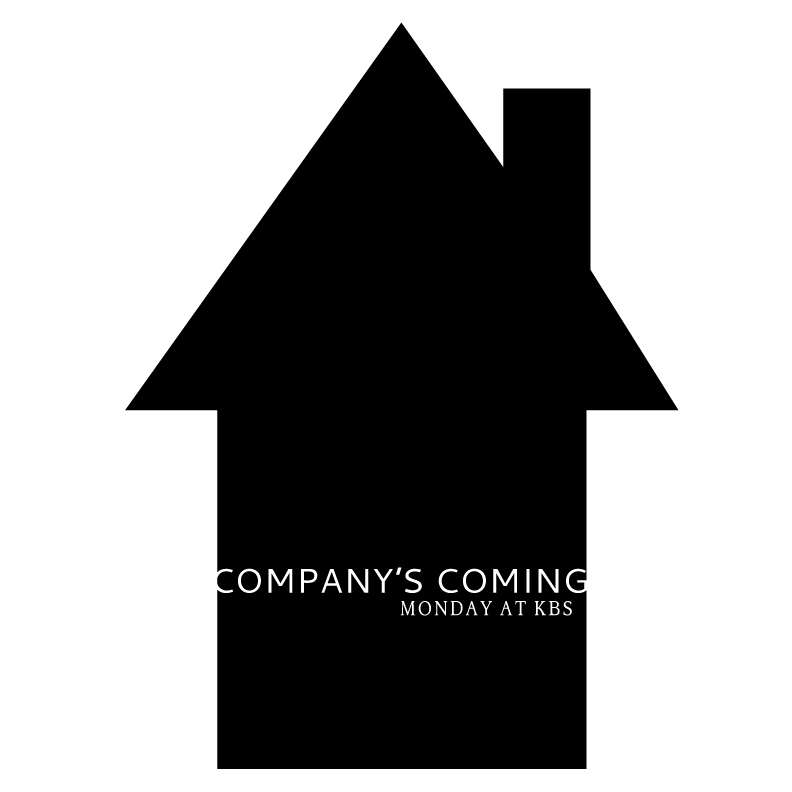 Or if you’re newer to KBS, then this is new to you and you just may want to make one yourself! Now would be a great time to put some together as gifts. All the details can be found in the original post HERE. 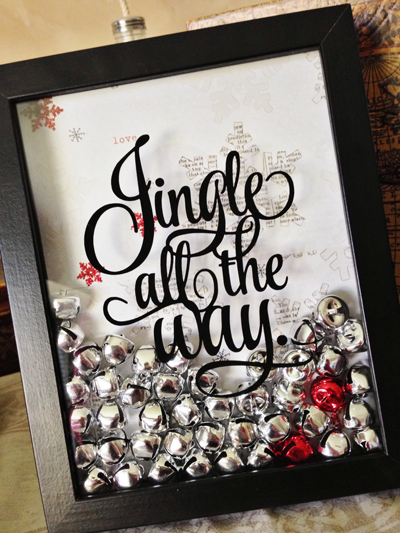 What font was used for “Christmas” and “Jingle all the way”?